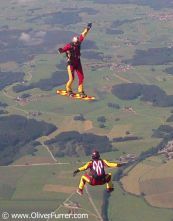 news 19.08.12: Oliver surfed the sky again at the FlyVertical boogie in Leutkirch, Germany. 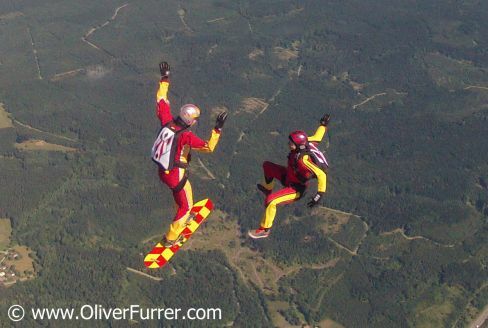 It was a pleasure for Oliver to fly the sky board with Tim Porter and some friends together out of the Super-Caravan aircraft. Thereby his wife, Corinne got a grip in freefall and she tried to stay on his surf board! Fun for everybody during these hot temperatures weather days.